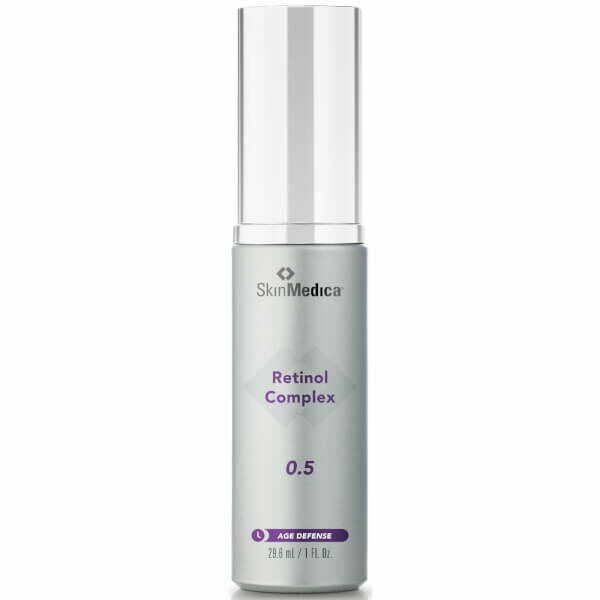 A retinol-based, night lotion, SkinMedica Age Defense Retinol Complex .25 is formulated to renew the skin’s tone and texture without irritating the skin. 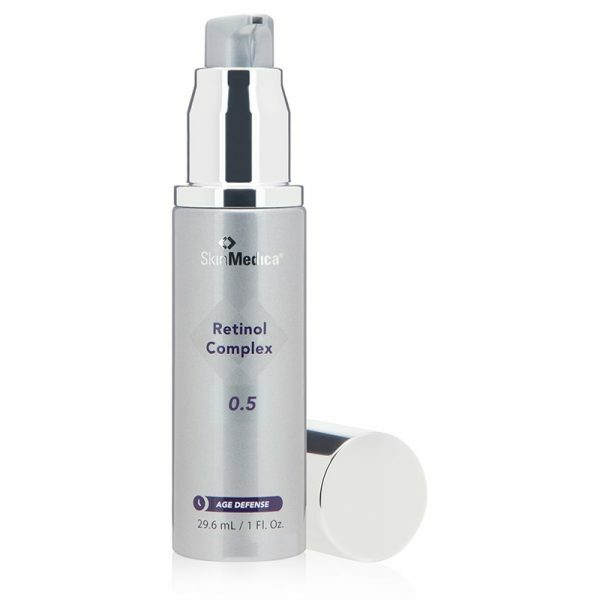 Retinol helps combat the signs of premature aging while magnolia bark extract soothes inflammation. Ideal for use twice a week to build tolerance to formula. Apply a single pump to face in the evening. 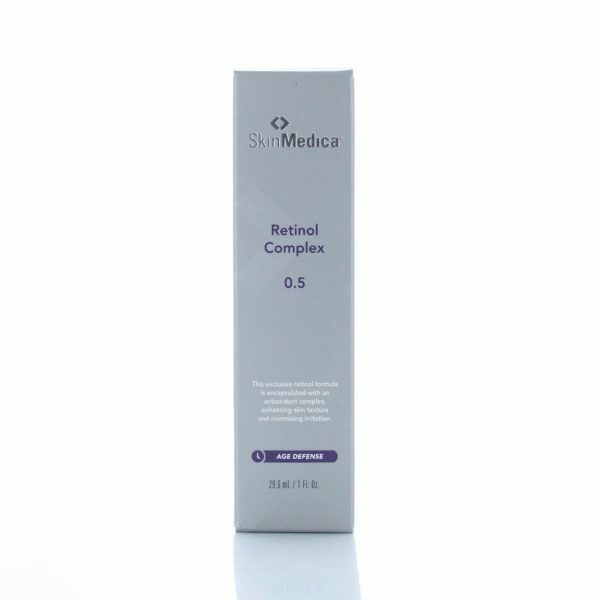 If you have never used a retinol product before, begin by limiting use to twice a week, gradually increasing frequency to every other night, and then advancing to each evening or as tolerated. Mild redness, peeling and irritation is expected when using this product. Use daily sun protection with SPF 30 or higher during use of this product. Avoid getting in eyes. Water/Aqua/Eau, Cetyl Ethylhexanoate, Glycine Soja (Soybean) Oil, Niacinamide, Polyacrylate-13, Caprylic/Capric Triglyceride, Squalane, Retinol, Palmitoyl Tripeptide-8, Dunaliella Salina Extract, Magnolia Grandiflora Bark Extract, Tocopherol, Tocotrienols, Ceramide 3, Bisabolol, Phytosterols, Tocopheryl Acetate, Oryza Sativa (Rice) Bran Wax, Glycerin, Polysorbate 20, Butylene Glycol, Cetyl Palmitate, Laureth-23, Trideceth-6 Phosphate, Sodium Hydroxide, Dicaprylyl Ether, Lauryl Alcohol, Polyisobutene, Dextran, Potassium Sorbate, Disodium EDTA, Phenoxyethanol, Ethylhexylglycerin.